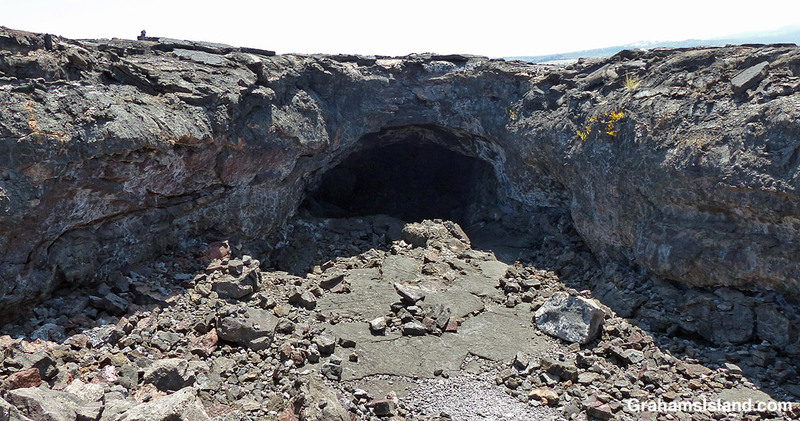 Probably the most visited lava tube on the Big Island is Thurston Lava Tube in Hawaii Volcanoes National Park. 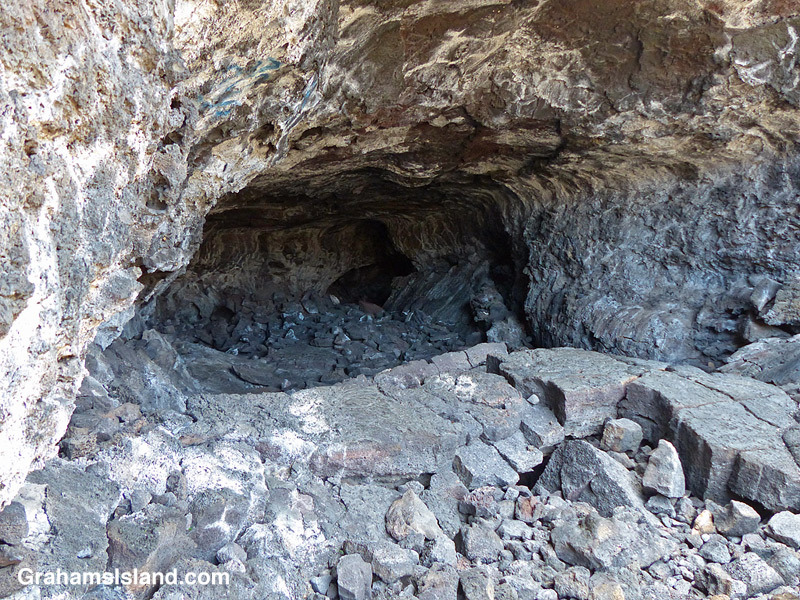 However, the most easily accessible might be one just a couple of miles north of the airport at Kailua Kona. Just off the main highway, it’s not unusual to see a line of vehicles pulled over and people scrambling over the lava. There’s a well worn path leading down to the entrance of the tube and enough headroom to make access easy. However, it’s worth noting that there are piles of rock strewn around from ceiling collapses and the whole area looks crumbly. I certainly wouldn’t want to be down there during an earthquake. Enter at your own risk!